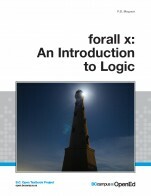 This is a textbook on formal logic. 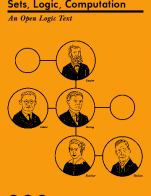 The book is divided into eight parts. Part I introduces the topic and notions of logic in an informal way, without introducing a formal language yet. Parts II–IV concern truth-functional languages. In it, sentences are formed from basic sentences using a number of connectives (‘or’, ‘and’, ‘not’, ‘if . . . then’) which just combine sentences into more complicated ones. We discuss logical notions such as entailment in two ways: semantically, using the method of truth tables (in Part III) and proof-theoretically, using a system of formal derivations (in Part IV). Parts V–VII deal with a more complicated language, that of first-order logic. It includes, in addition to the connectives of truth-functional logic, also names, predicates, identity, and the so-called quantifiers. These additional elements of the language make it much more expressive than the truth-functional language, and we’ll spend a fair amount of time investigating just how much one can express in it. 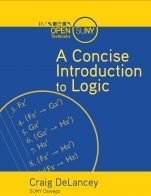 Again, logical notions for the language of first-order logic are defined semantically, using interpretations, and proof-theoretically, using a more complex version of the formal derivation system introduced in Part IV. 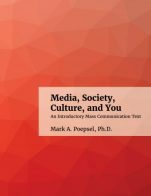 Part VIII covers an advanced topic: that of expressive adequacy of the truth-functional connectives. forall x cover by Aaron Thomas-Bolduc & Richard Zach is used under a CC BY 4.0 Licence (https://creativecommons.org/licenses/by/4.0/). 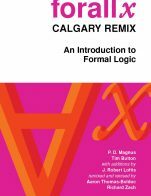 forall x: An Introduction to Formal Logic (Calgary Remix) by Aaron Thomas-Bolduc, Richard Zach; University of Calgary is licensed under a Creative Commons Attribution 4.0 International License, except where otherwise noted.